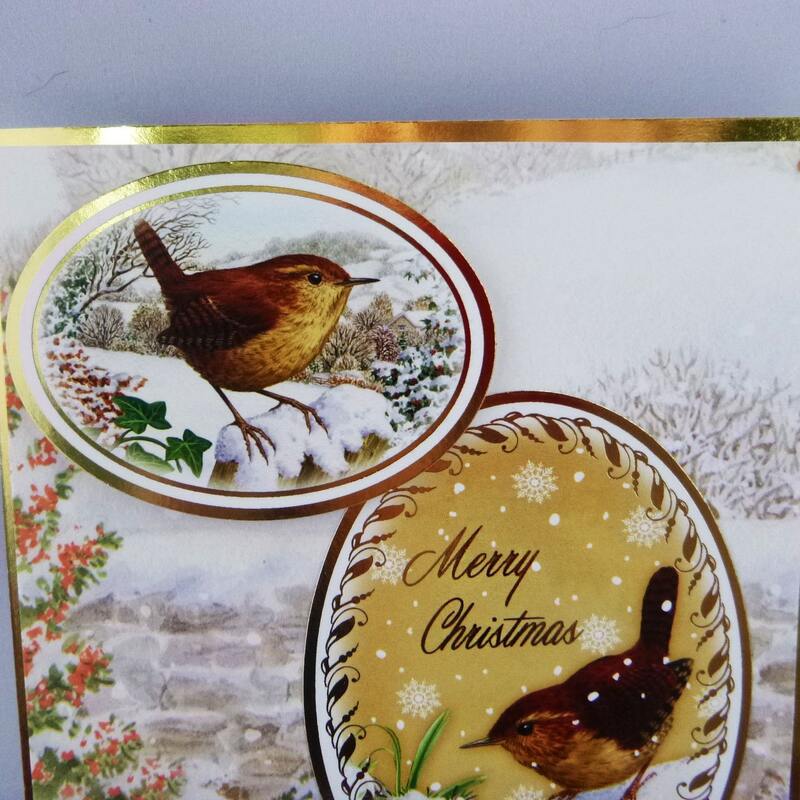 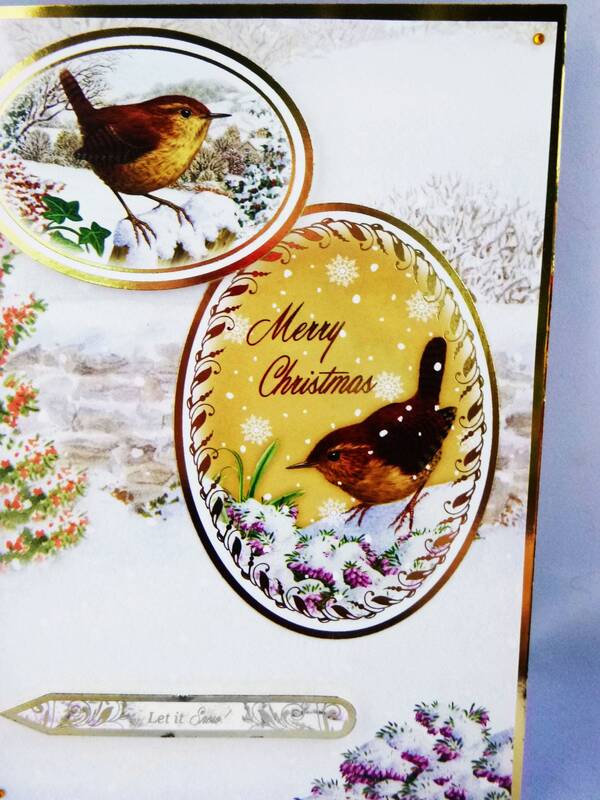 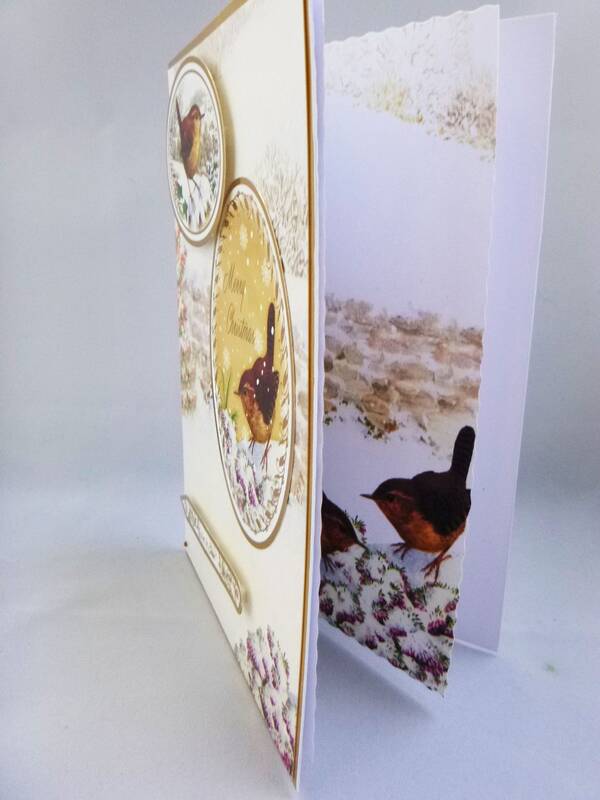 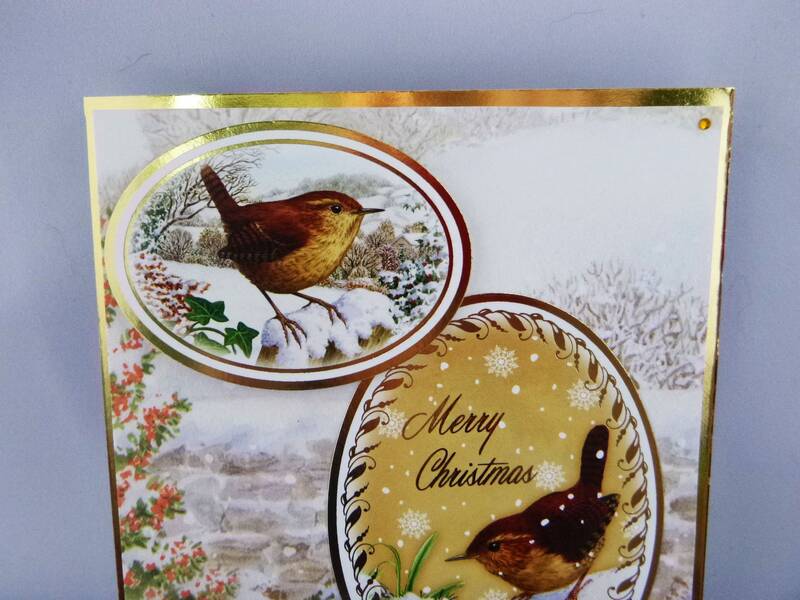 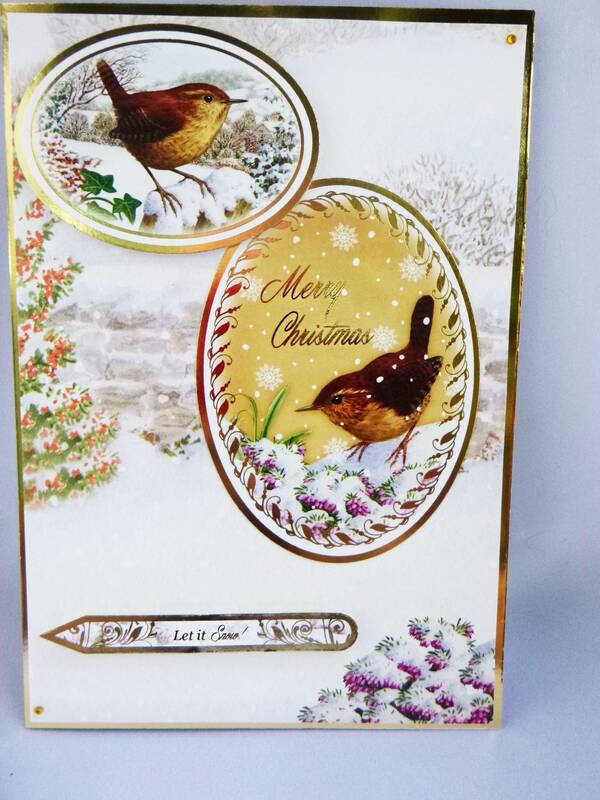 A festive card, made from white base card, layered with gold card and patterned card, with a large oval topper of a wren with the sentiment 'Merry Christmas'. 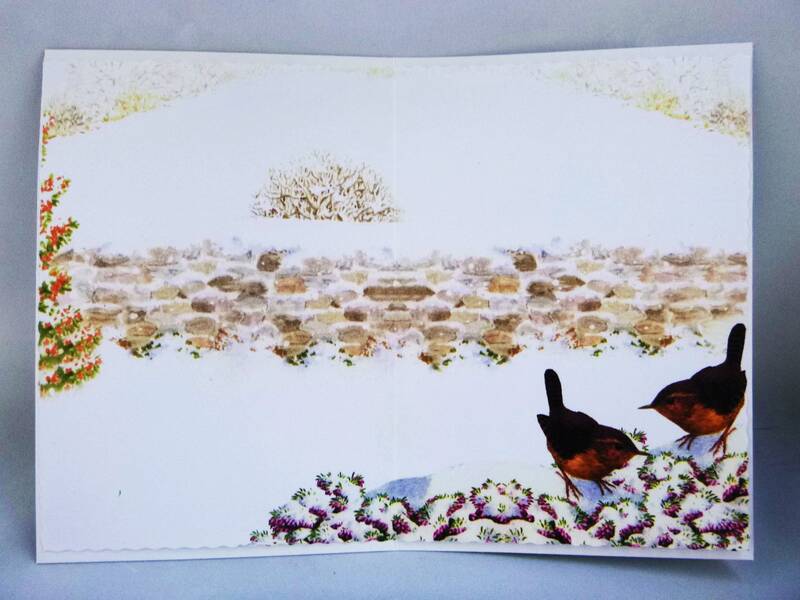 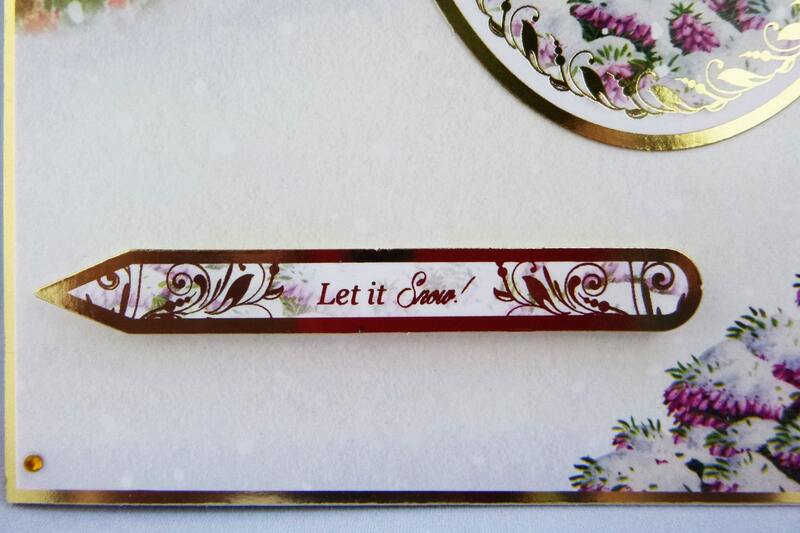 Above is another smaller topper of a wren sitting on a snow covered wall, at the bottom of the card is a sentiment which says,' Let It Snow'. 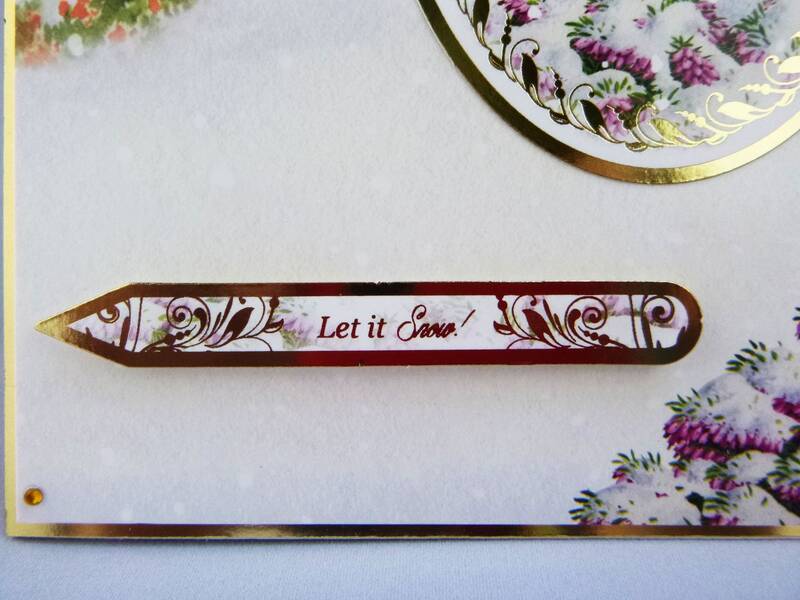 In opposite corners there are yellow crystal embellishments. 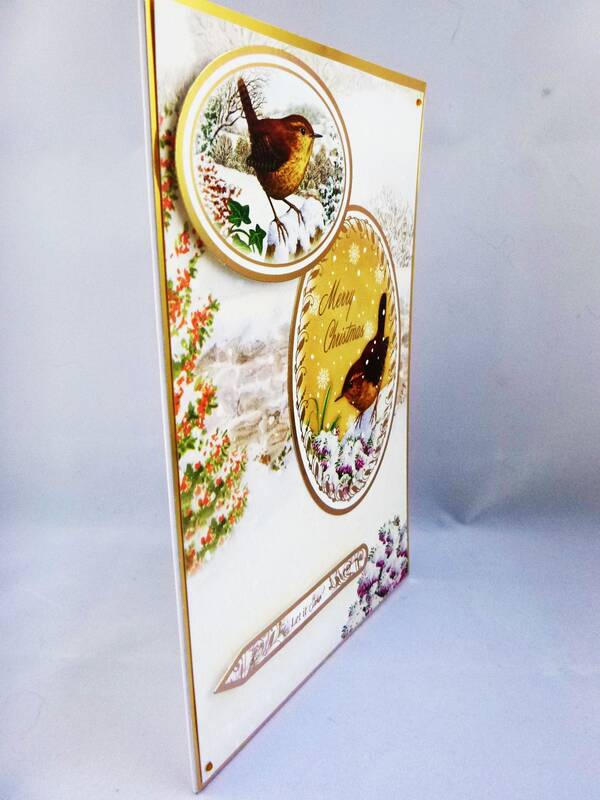 A beautiful card, and I love the matching insert.